As many will know, I take a keen interest in who deals in fresh market produce around the city. Years ago, a tiny group of us set up Otago Farmers Market at Dunedin Railway Station (opened March 2003) to ensure local market gardeners and food producers had at least a fighting chance to survive against the duopoly supermarkets trucking in old (no longer fresh) fruit and vegetables from the North Island; and to provide a market alternative to export given the high compliance costs besetting small orchards. We aimed to get the city’s ‘urbanistas’ to talk to Otago’s rural folk by adopting a Saturday market ritual – prior to opening we researched our business model to death (given the exact nature of Dunedin food retailing and the customer base, and the availability of suitable vendors) in the attempt to keep overheads down so small local producers could make the real profits. And that is what happened. The farmers market has spawned new businesses and new employment. We always envisioned the market as a business incubator. We also hoped our hard work – in just a couple of years it became a multimillion dollar enterprise (for the vendors) – would eventually spur other small independent farmers markets to set up in the region to give vendors more chances of selling – and so they have, with varying degrees of success and failure. While we know Otago Farmers Market has the numbers, the solid customer base at Dunedin – there is absolutely no room for organiser complacency. Some of that, I believe, and a lack of strategic business thinking, timing and network connections on the part of the organisers was responsible for the failure of the trial market venue in South Dunedin. They may have misread the location as much as the trading climate, more diligence was required. At the Railway Station we saw every trick in the book committed by vendors (not the majority of vendors, I note) to earn cash by means not covered in the vendor contract they sign. That is the nature of a cash economy, the cowboys and cowgirls try it on. Behind scenes, we met mid-week with our accountant to look over business and enforce contracts, measuring these against what happened on site on Saturdays – we attended all Saturday markets checking the ‘pump’ as well as greeting customers at the gate, year in year out, rain hail or shine. Were we over-possessive? – No. We were learning the whole dynamic, firming systems for the avoidance of kinks. A farmers market will never be perfect, but it has to try! Those who now run Otago Farmers Market continue to be vigilant – the need to focus on quality control was never more relevant – this is what we the initiators and founding trustees set great store by (to use a phrase), we rigorously policed things as the market evolved. When we each handed over to new management on pursuit of other projects about town we expected our long-view objectives to be followed and maintained as best business practice. I called into Veggie Boys in Albany Street before Christmas, it’s near where I live, fresh flowers posed at the door for sale is a bonanza for the apartment dweller. The ‘boys’ Barry Gazeley and Marty Hay opened a store in Cumberland St in late 2011; their Albany St store opened in July 2012. They claim they’re meeting a gap in the market for locally grown produce (Otago Southland). Good on them I thought, after reading this profile: Dream comes true for Veggie Boys (ODT 26.4.12). Google tells me Anderson & Co Resource Management has worked on planning matters for Veggie Boys. After much delay I finally got out to Wal’s Plant Land at Mosgiel, run by Clive Wallis, to check into the new Topiary Cafe there. We’ve been great fans of Richard and Michelle Denhardt’s last venture, ‘No. 8 Cafe w Herbs’ at Outram (now closed); the two of us were keen to sample their food and coffee, again. We spent a pleasant couple of hours at Wal’s, and had a good look around the site – it’s a really nice place to visit. There were couples and families about. We were surprised to see a new Veggie Boys outlet. Their third outlet? They must be doing well. We made some plant purchases, and left feeling very pleased with ourselves. When we got back to town I was a bit curious. Towards the end of last year I was in and out of DCC’s online consents records following progress on Outram subdivisions and what not, I hadn’t noticed an application for Veggie Boys (109 Bush Road). Anything commercial in the rural zone sparks my interest, being a country girl averse to life-stylers carving up the countryside. Bane of the earth! Anyway, I checked non-notified decisions, public notices and notified decisions. 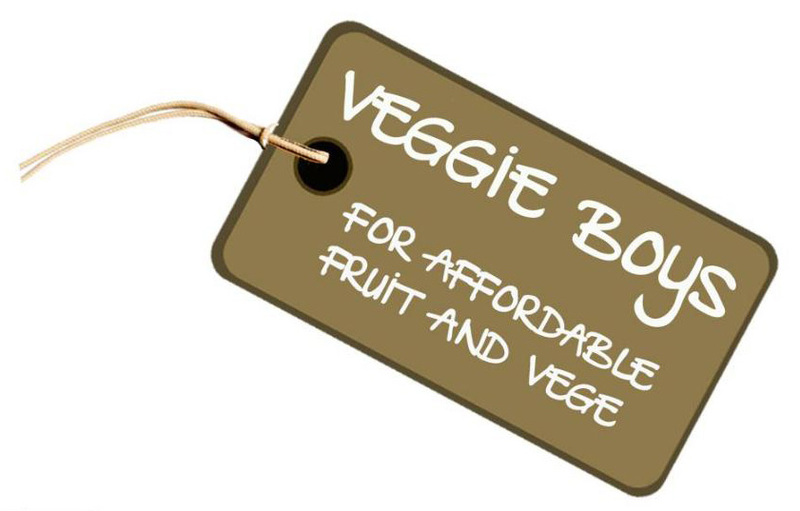 I might’ve missed something, I couldn’t find a resource consent for Veggie Boys to trade from Wal’s site. I’m mystified – when I think about it, given all the activities going on at Wal’s, and what I can’t see on the council record, online at least, there appears to be more to look into consents-wise. I don’t know if anyone else has noticed. Maybe council staff have overlooked loading up the website. I’ll have to check the paperwork at City Planning when I get time.